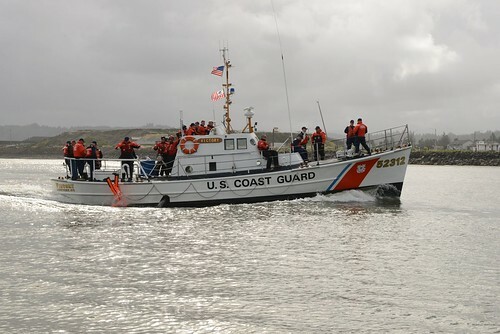 KODIAK, Alaska – Coast Guardsmen from the Ketchikan-based Coast Guard Cutter Acushnet, members of Marine Safety Detachment Kodiak and National Marine Fisheries Service agents conducted voluntary dockside commercial fishing vessel safety exams in King Cove and Sand Point Jan. 19 and 20. The examiners conducted five exams to verify the operators were in compliance with applicable safety requirements, including a thorough inspection of the vessels and the life saving equipment aboard to ensure the equipment is ready for use in case of an emergency. Examiners provide a list of discrepancies to vessel operators to be corrected prior to getting underway, if any. There are no fines associated with dockside exams. 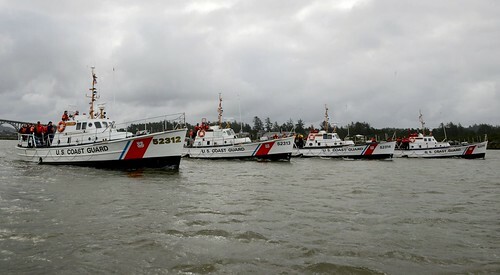 Coast Guard decals are issued as a result of exams and are good for two years but do not exempt operators from boardings at sea. They can speed up the boarding as examiners can see all the equipment has been recently checked and approved. 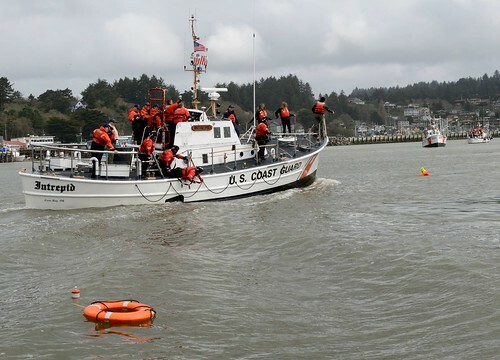 “In some cases operators correct the deficiencies and are issued a decal the same day,” said Petty Officer 1st Class James Frank, a marine science technician with MSD Kodiak. 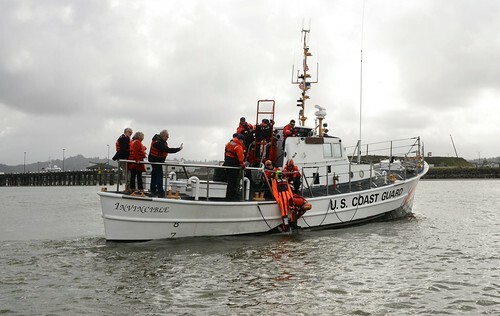 National Maritime Fisheries Service agents accompanied the Coast Guard examination teams to answer questions regarding federal fisheries regulations and to discuss observer regulations with fishermen and fish processing plant managers. 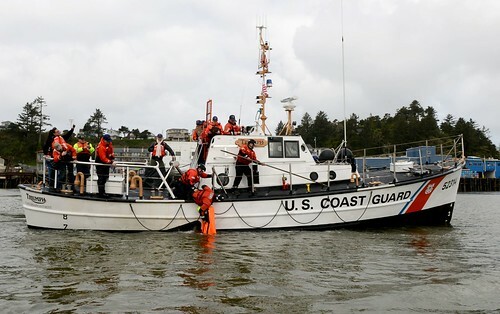 “Acushnet operates in the Shumagin and Pribilof Islands and we have noticed a significant number of safety violations, some of them have even resulted in the vessel’s voyages being terminated,” said Lt. Kirk Fistick, operations officer on board the Acushnet. “Our duty here is to take a more holistic approach to serving the remote areas of Alaska. We have helped many fishermen with safety gear requirements, in turn, allowing us to conduct law enforcement at a much higher level of efficiency”. 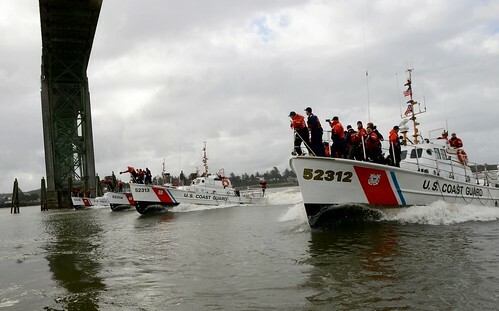 The 213-foot medium endurance cutter Acushnet is homeported in Ketchikan and is the oldest operational cutter in the Coast Guard known as the “Queen of the Fleet.” Acushnet was originally commissioned as a Diver Class Fleet Rescue and Salvage Vessel, USS SHACKLE (ARS 9) for the U.S. Navy Feb. 5, 1944. 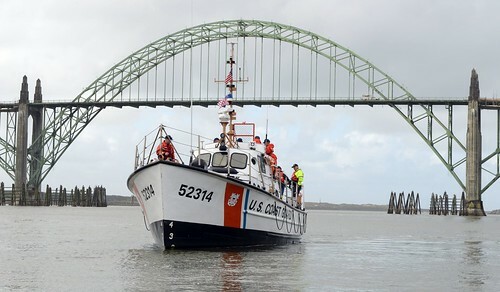 On August 23, 1946, Acushnet was commissioned as an Auxiliary Tug (WAT) in the Coast Guard.